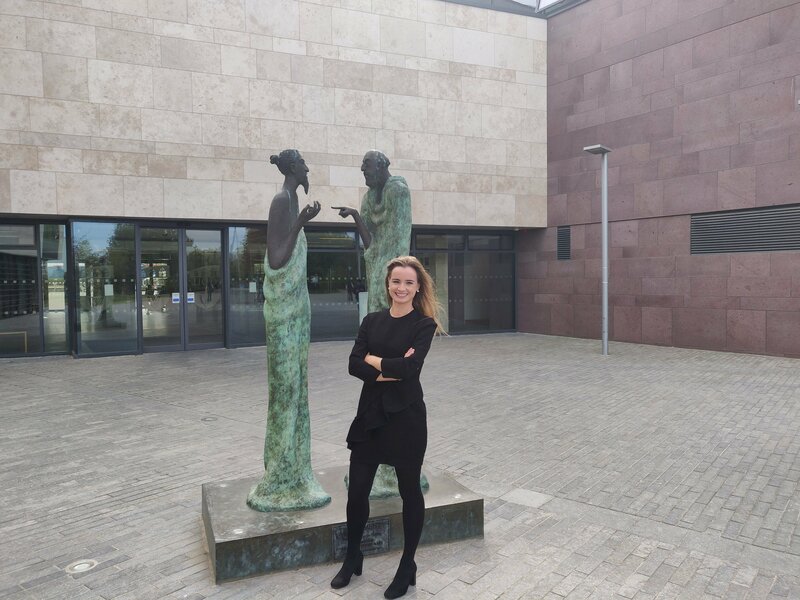 The UCD Sutherland School of Law is delighted to announce the appointment of Dr Sarah Fulham-McQuillan as McCann FitzGerald Assistant Professor in Law and Business. Dr. Fulham-McQuillan’s research is in the law of obligations and she lectures Contract Law and Business Law in Sutherland School of Law. A former Government of Ireland Scholar, she completed her undergraduate and doctoral studies at Trinity College Dublin. Her PhD focused on medical negligence, and how the doctor-patient relationship is reflected in law. She is currently writing up her thesis as a monograph. She has presented her work internationally, most recently including the Obligations IX 2018 Conference at the University of Melbourne, and as an invited guest speaker at the Obligations Discussion Group, University of Oxford. She has published her work at home and abroad. Her work includes “Judicial Belief in Statistics as Fact: Loss of Chance in Ireland and England” (2014) Journal of Professional Negligence. Prior to joining UCD in September 2018, Dr. Fulham-McQuillan taught at Maynooth University and Trinity College Dublin. She is a former member of the Council of the Irish Association of Law Teachers, and is a member of the Society of Legal Scholars in the UK and Ireland and the Socio-Legal Studies Association.